This talk by Prof. Cheryl Dissanayake will provide an overview of research undertaken at OTARC over the last decade. While our research was initially focused on the early childhood years, it now covers the developmental lifespan. We have numerous research projects underway at any given time, and as a team, strive to work at the nexus of research and practice, with a strong focus on improving the lives of those with autism and their families. Professor Dissanayake is the Founding Director of Australia’s first research centre dedicated to autism, established in 2008. She has been an autism researcher since 1984, when she began her PhD at Monash University. On completion she undertook a postdoctoral fellowship in the Sigman lab at UCLA, and has established and led an active research program since joining La Trobe University in 1996. 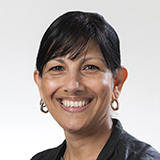 In addition to her scholarly activities, with numerous grants and publications, Prof. Dissanayake was instrumental in bringing together Victorian and Australian autism researchers, having co-founded the Autism Victoria ASD Research Group (in 2003), the Australasian Autism Research Alliance (in 2005), the Australasian Autism Research Collaboration (in 2009) and the Australasian Society for Autism Research (2011), a member based society of which she is vice-President. She is also a Project Leader in the Cooperative Research Centre for Living with Autism. Professor Dissanayake is amongst the first scholars to be inaugurated as a Fellow of the International Society for Autism Research at its annual conference in Rotterdam in May, 2018. Is there an environmental cause of autism?